How Do You Celebrate After Loss? Today is my birthday. I'm now 29. I'm normally the type of person who loves celebrating birthdays. Of course, when I was younger, I loved receiving cards and presents. That joy and excitement I felt as each one approached has never left me, though now it's less about what I'm given, and more about the celebration; getting dressed up, spending time with the family, eating good food, and, yes, getting some love. This birthday is different though, and I have been wishing it was further away each day, as it steadily came closer. 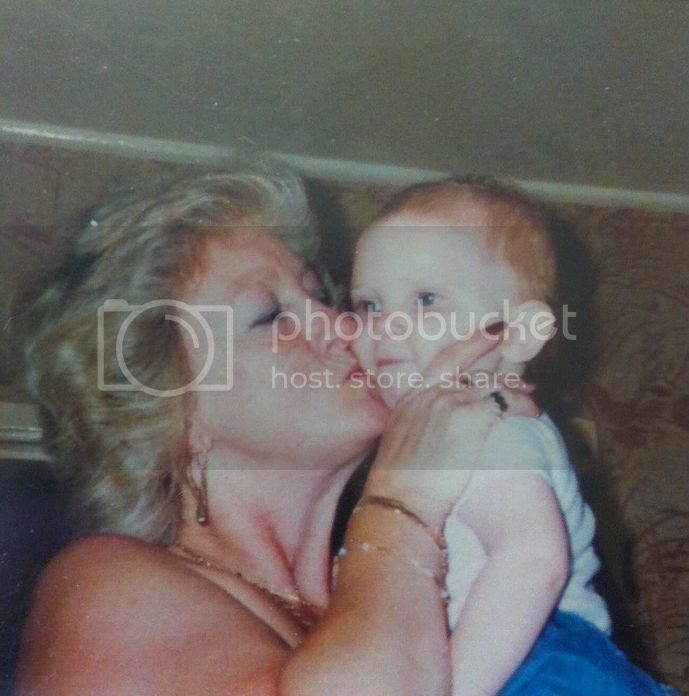 This is my first birthday without my Nan. I was really, really close to my Nan, as a child and as an adult. I would take time off work just to visit her for a week; take her to lunch, take her out for a drink. Have her cook me steak in gravy, and laugh while she got angry at her favourite soaps' storylines. Just spending time together. So I'm really struggling with her not being here today. Christmas was hard and upsetting, but today is worse. It's my day, and she's not here. It's been almost a year, and I'm doing ok in general, but I'm feeling her absence much more strongly today, a day in which she was always present, even if I didn't actually see her. I live in London and she lived in Kent, so it was more likely than not that I wouldn't see her. But I would always receive a card in the post, one that was a bit of a "story" - what my family call cards that have a lot of words. I'll get a card from her with two, maybe three pages of verse, a card she had taken the time to choose amongst many, the one with just the right words to express how much she loved me. Not this year. She would always phone to wish me a Happy Birthday, ask me what I received, and what my plans would be for the day. Not this year. Last year, my birthday fell on Mother's Day. I celebrated my birthday the day before, taking out my family for a meal, because Mother's Day was going to be all about Nan. It would be her last, and she was really quite ill at the time. For those who don't know, she had cancer, which had spread to her brain, and there was nothing that could be done. She was given six months that ended the previous December, but she was still here in March. We were all so grateful for the extra time, but we knew it was now dwindling. She was really very ill. I was sitting by her bedside that morning, holding her hand while my Mum sat beside her on the bed, chatting. Mum asked Nan if she had wished me Happy Birthday, and she nodded. Mum looked over and asked me quietly if she had, and I told her no. The tumours in her brain had started to affect her memory, as well as proper control over her hands, her eyesight, other things. Mum told her that she hadn't, actually, and my Nan - who was now constantly tired and very rarely awake, struggling to keep her eyes open, with barely enough energy to hold a conversation - breathlessly, whisperingly sang Happy Birthday to me. It was one of the most beautiful and most heartbreaking moments of my life. And twenty days later, she died. And today is so hard. Not just for the small things - the card and the phone call. I was 28 when she died. Now I'm 29. A year older. And I feel like I'm leaving her behind. I am all for moving on, moving forward, and getting on with life, but I don't want to leave her behind, too. And that's what it feels like. New Year's Eve at midnight was tough. Because now we say she died "last year", rather than "earlier this year". One step away from her. And now I'm a year older. Another step away. And it's so freaking hard. Because in the days leading up to today, as I've been dreading it getting closer, it started to hit me that it wasn't just my birthday and subsequent birthdays she was going to miss and be absent from. Nan won't be here for my wedding. Nor will she be here when I have children. And oh, how she so wanted to be a great-grandmother! So much! She loved babies. She would joke about me having a one night stand with a randomer just to get pregnant, so she could have a great-grandchild. And she never got to have one, and she never will - not one that she will know about. And I can't help but feel like I've let her down by not having children sooner. These are important life events that I would have wanted her there for. I know she would have been so proud. So, so proud. And now I have to deal with her not being here - not for today, or any future celebrations. And I miss her. I miss her so goddamn much. I miss her, and I love her, and I can never tell her again. How are you supposed to celebrate when someone so important to you isn't here to celebrate with you?